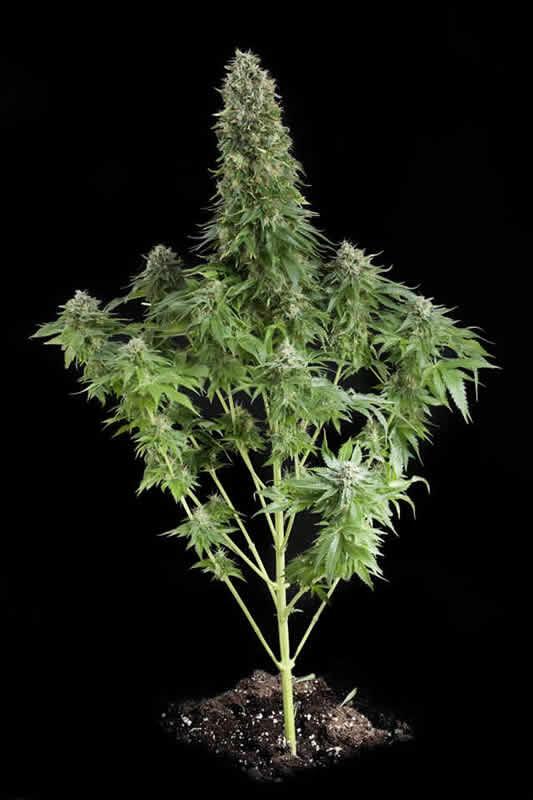 The Dinafem White Siberian seed originates from a combination of two genetic strains subjected to a careful selection process throughout many years: on the one hand, a clone of the elite White Widow on the other AK 47. We can summarise the characteristics of the new White Siberian mentioning the best features of the genotypes that it is composed of: a vigorous, medium to high sized Indica-Sativa hybrid with a very good indoor harvest and extremely resistant outdoors. The White Siberian is mature, with flowering completed, in 65 days -outdoors in October. The result will stand out thanks to its shiny coat of resin, its deliciously powerful sweet aroma - with a touch of Indica bitterness - and its equally powerful medicinal effects.